If you’re an Apple fan, then you’re a living testimony that there are few things better than finding all the latest Apple gadgets in one place. That’s what iStore is all about. As a premium reseller of the brand, it aims to offer the latest phones, tablets, computers, and even watches of Apple – all under one trendy store. Give in to the urge and check out the chic displays; iStore takes pride in being up-to-date, so there’s always bound to be something new. Don’t be surprised if you leave the shop with a nifty package on hand. You’re at iStore, after all. 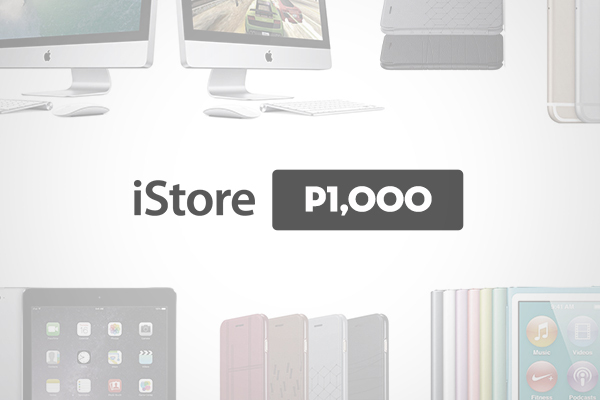 Macbooks, iPod Touch, Apple TV, iPhones, and more – find them all at any of iStore’s locations. Whether you’re a first time buyer or you’re a brand enthusiast, iStore has knowledgeable and friendly staff ready to answer your questions. Having problems with your phone or computer? Just bring it over at iStore for repairs.